File your taxes by the due date to avoid penalties and interest. One of the simplest ways of getting a larger tax refund is to have more money withheld from your paycheck. Ask your employer for a new W-4 and fill it out to increase your withholding in one of several ways. If you are married, you can change to the status of "married, but withhold at higher single rate." You can decrease the number of exemptions you claim, or you can specify on Line 6 an additional amount you want your employer to withhold from each paycheck. You have the option of itemizing your deductions or claiming the standard deduction. 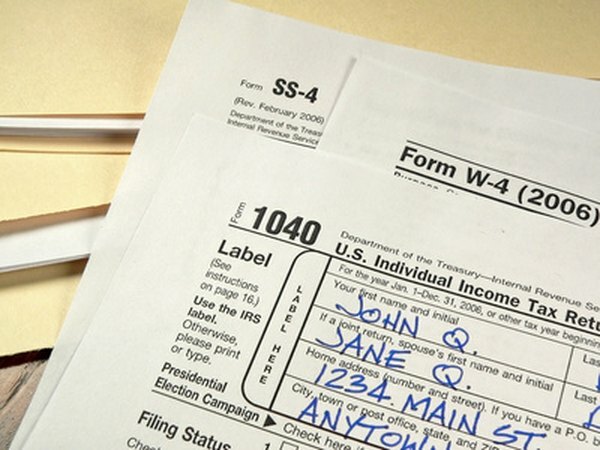 You'll probably be tempted to claim the standard deduction. Most people do, because it is easier to figure and in most cases provides a lower tax obligation. The IRS recommends figuring your taxes using both methods, then filing your taxes using the method that gives you the lowest tax obligation. The IRS divides itemized deductions into seven categories, including medical expenses, deductible taxes, interest expenses, charitable contributions, job expenses and other miscellaneous deductions. Separately, those deductible expenses might not seem like much, but by keeping your financial records and receipts organized, you can add them together for a potentially bigger tax refund. Making small, but appropriate adjustments now could result in a larger income tax refund later, as long as you know the IRS' rules. If your itemized deductions are close to being more than the standard deduction, it might be worthwhile to pay for some of next year's expenses this year. For example, if you have a medical or dental procedure scheduled for January, consider moving it back to December to increase your medical and dental deduction. If you pay your January mortgage payment in December, you can include the interest you paid in your mortgage interest deduction. You can contribute to a traditional IRA and reduce your taxable income up to the due date of your return. Paying your real estate taxes in advance won't help, since the IRS allows you to deduct them only in the year they are due. Everyone loves a fat income tax return. Approximately 104 million Americans got tax refunds for the 2011 tax year, with an average refund of $2,927, according to the Kiplinger website. But when you get an income tax refund, it means you made an interest-free loan to the government. You might consider adjusting your withholding to get a smaller tax refund and investing the extra amount you get in each paycheck into an interest-bearing account. By the time the tax season rolls around, you won't have to wait for an income tax refund. You'll already have that money in savings.